Manikyam's husband died several years back, leaving her to struggle financially as she is unable to find steady work. 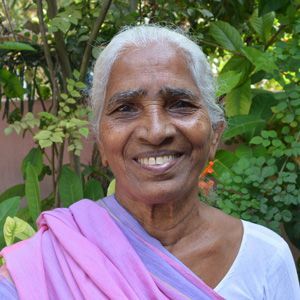 Manikyam does not have any children that she can live with or who can help meet her needs. Due to her situation, she often finds it difficult to have enough food or to properly care for herself. Your sponsorship will ensure that Manikyam receives proper and adequate food and give her hope.